Score points to ascend while sowing the seeds of your next life, and – if necessary – sabotage your rivals. But remember, what goes around comes around, and your actions have consequences in this life… and the next. 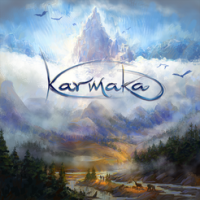 Add a Review for "Karmaka"